The methods marketers use to reach their key audience are continuously changing. 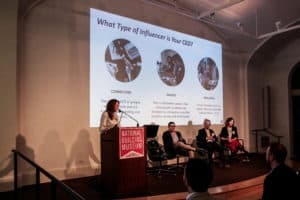 With the rise in popularity of social and digital platforms, influencers have an increasingly significant impact on how people interact with brands, companies, or organizations. In fact, more than half (52.7%) of brands agree that influencers are vital to the success of social campaigns. 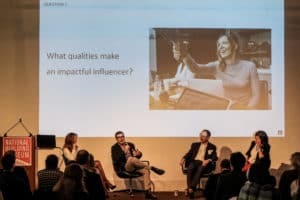 At our recent DC Communicators event, our panel of industry experts shared their experiences of utilizing their CEO or C-Suite executives to positively impact their brand or campaign and ultimately drive a return on investment. Influencer marketing describes the relationship in which an organization uses influential people to share a story, message or mission. Rather than marketing to a large group of consumers, these influencers drive the brand’s message to a larger market. A misconception about influencer marketing is that the influencer has to be someone with a large social media following, confusing influence with popularity. Micro- and even nano-influencers can be incredibly effective, reaching and connecting with niche audiences. As explored by our panelists, Heather Luca, Chief Communications Officer at Results for Development, Rob Bratskeir, Executive Vice President at 360pr, and Adam Paige, Director of Public Relations for Illy Coffee, many companies should look within and cultivate brand ambassadors or influencers from their own ranks. What: What problems or issues are your CEO or C-Suite executive prepared to address? What unique perspective do they have? What will we be asking influencers to do? How: How will the program performance be evaluated? What are your key performance indicators? Who: Who is the right person for the goal we’ve identified? When you’re preparing to activate your company’s influencers, it’s important to note that not all influencer marketing happens online. Going beyond social media and utilizing speaking engagements, networking events, earned media or email marketing are examples of additional ways to build your brand and use your CEO or other executives to genuinely connect with people. Consider making things a bit easier by meeting your executive where he or she is by assisting with content creation, drafting social media captions and suggesting great opportunities to interject the mission into existing conversations. Persuader, a charismatic idea salesperson whose negotiation skills motivate followers to act? With the right strategy and training, an executive colleague can be the influencer that will give your campaign or brand the exposure it needs. Authentic, informative and meaningful, executives speak with an authority that engages your target audience. Missed last week’s session? Download the presentation and sign up to make sure you’re on our email list! 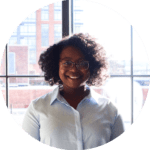 DC Communicators is a network of communications and marketing professionals in the Washington, DC, metro area who are interested in emerging trends in earned, paid and digital media. Founded by Mimi Carter in 2013, the group meets quarterly at the National Building Museum to network and discuss such trends. Topics for previous events have included fundraising for museums, content marketing, crisis communications, and best practices for social media and the law.